What we wish we had known when we started Four Christian leaders disclose key leadership lessons they have learned through forty years of pastoring and establishing worldwide ministries. This illuminating book explores topics such as team building, boundaries, transitions, unity, stress management, learning from criticism, making tough decisions and much more! 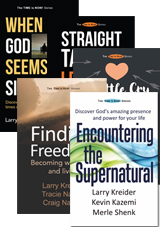 The authors’ personal experiences demonstrate biblically based insights for today’s leaders in church, business, and other organizations. 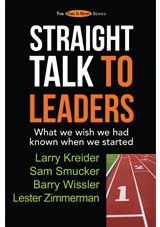 Straight Talk to Leaders is part of a series The Time Is Now! Discover The Time is Now! to grow in leadership.